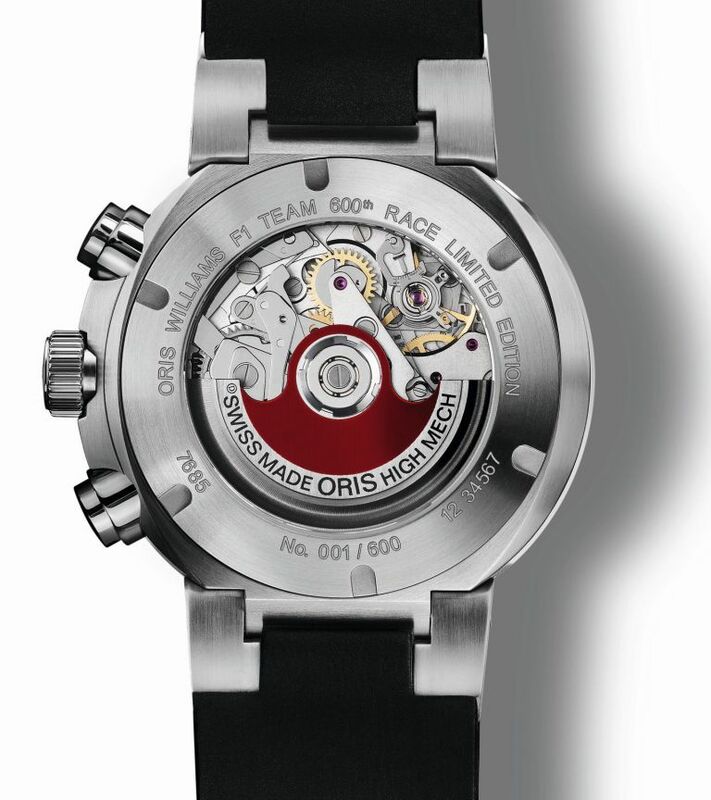 The WilliamsF1 Team has reached its 600th race in Formula One and its partner Swiss watch manufacturer Oris is celebrating this landmark achievement with a unique limited edition timepiece. Founded in 1977 by Frank Williams and Patrick Head, Williams has secured 297 podiums, 114 race wins and 16 World Championship titles over the past 36 years. Nine of these titles have been won in the Constructors’ Championship, with the remaining seven titles being Drivers’ Championships won with Alan Jones, Keke Rosberg, Nelson Piquet, Nigel Mansell, Alain Prost, Damon Hill and Jacques Villeneuve. WilliamsF1 achievements earned Founder and Team Principal Frank Williams a knighthood in the 1999 New Year’s Honours List to augment France’s highest decoration, the legion d’Honneur. 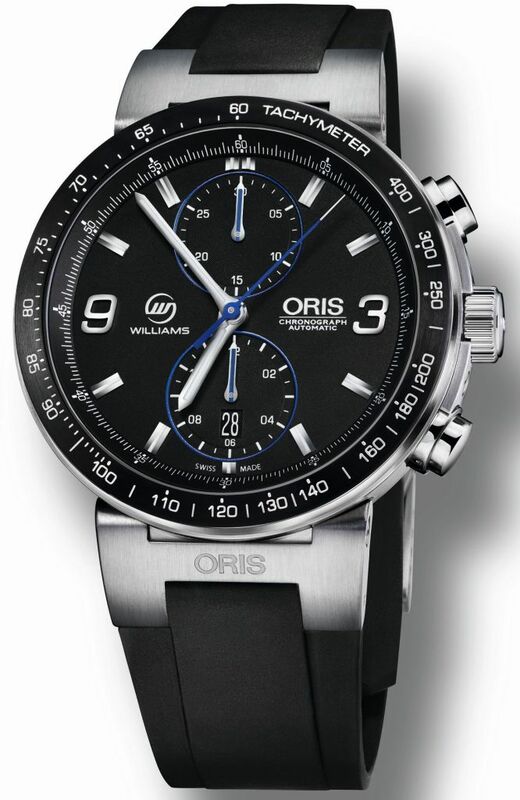 To celebrate this accomplishment of the WilliamsF1 Team, the Swiss watch brand is introducing the Oris WilliamsF1 Team 600th Race Edition. Inspired by the high-tech cars of Formula One, the new chronograph is intrinsically linked to motorsport. Featuring a multi-piece stainless steel case, the timepiece has a tachymeter as top ring coated in black DLC. The minute recorder at 12 o’clock and the hour recorder at 6 o’clock, along with the date window at 6 o’clock, also illustrate its sporting pedigree. The black matt dial with blue elements and the WilliamsF1 logo illustrate the strong connection. The innovatively designed flexible horns respond with the same adaptiveness as racing suspensions. Limited to 600 pieces and presented in a luxurious wooden box, the Oris WilliamsF1 Team 600th Race Limited Edition epitomises Formula One design and function.